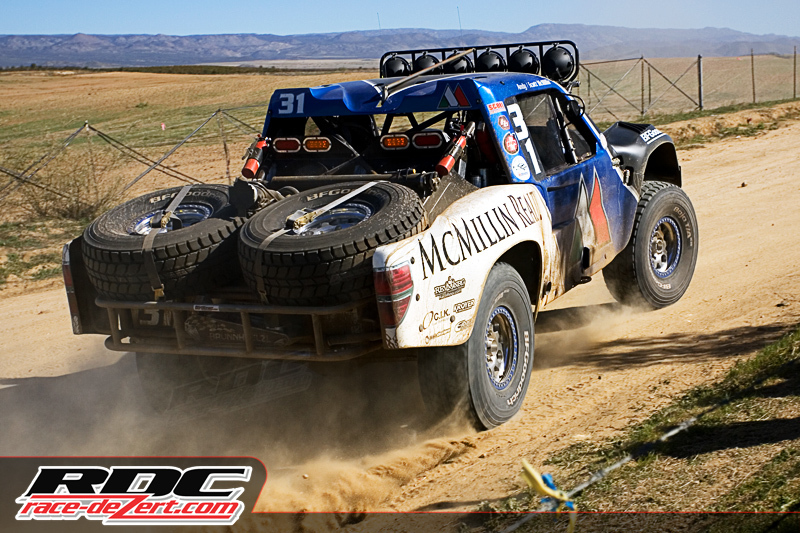 For this years SCORE Baja 1000 my assignment was to chase the McMillin Racing team. 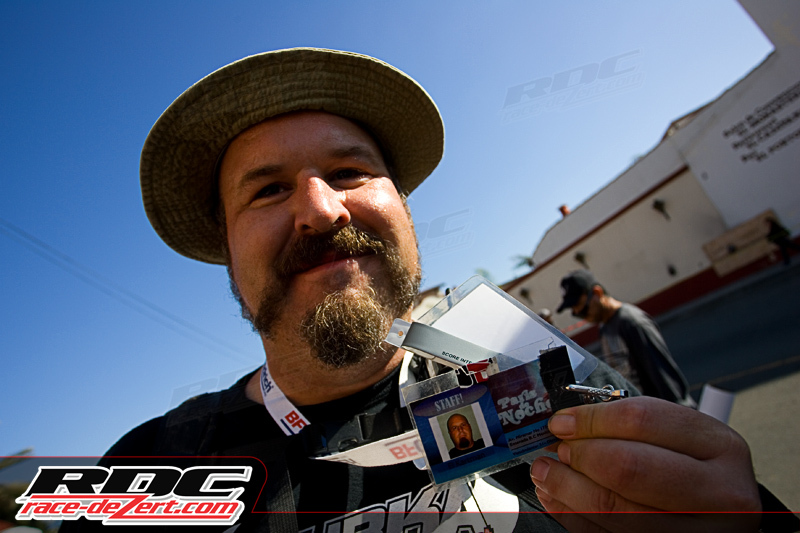 My usual cohort was the legendary Scott Smith of Paradigm Productions, and our buddy Johnny “The Slayer” Rukkas. We headed down Wednesday morning to get down there before contingency started so that we made sure we caught them rolling through tech. 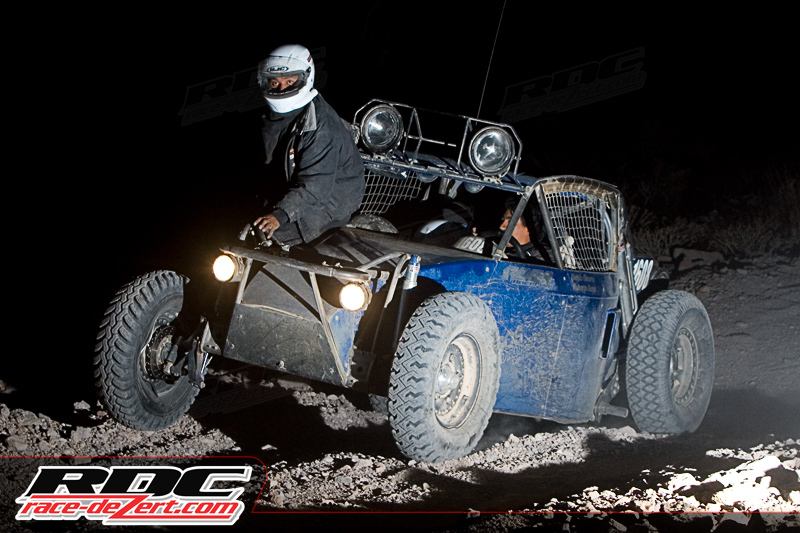 Luckily for us, around 5:45am Scott got a text from Beau of McMillin Racing asking when we were headed down. Beau was already sitting in line waiting for tech to start in the #31 Trophy Truck, so we knew first thing when we got there we’d be able to catch them. One of the first things we came across when we got there was a local security guard. He also doubles as a photographer. Our main goal for Wednesday was to get a few shots of all four vehicles (Andy/Scott #31, Mark #23, Dan #103, and Luke #1648), and a few lifestyle shots of the team and the overall atmosphere of the day. Here is Beau enjoying his time down in Baja. 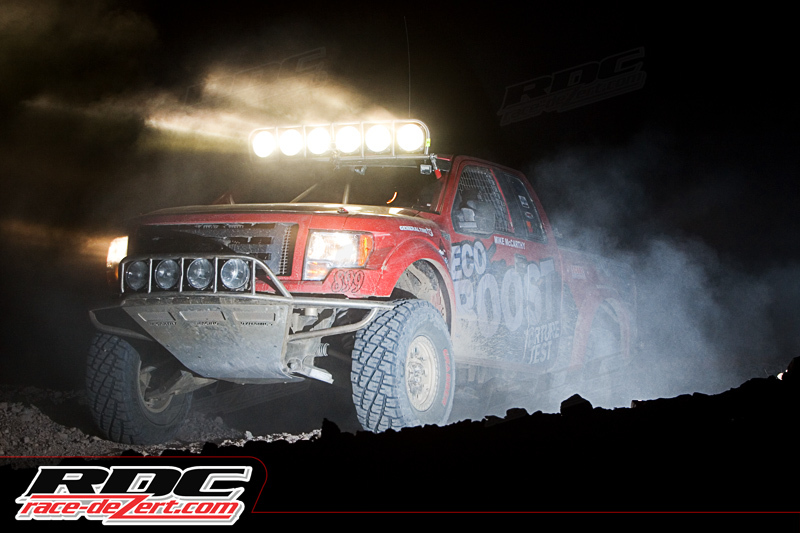 Beau is a hard working part of the McMillin team who spends countless nights at the shop prepping and fabbing. Here is a shot of Mark, Dan and Luke’s cars going through town. 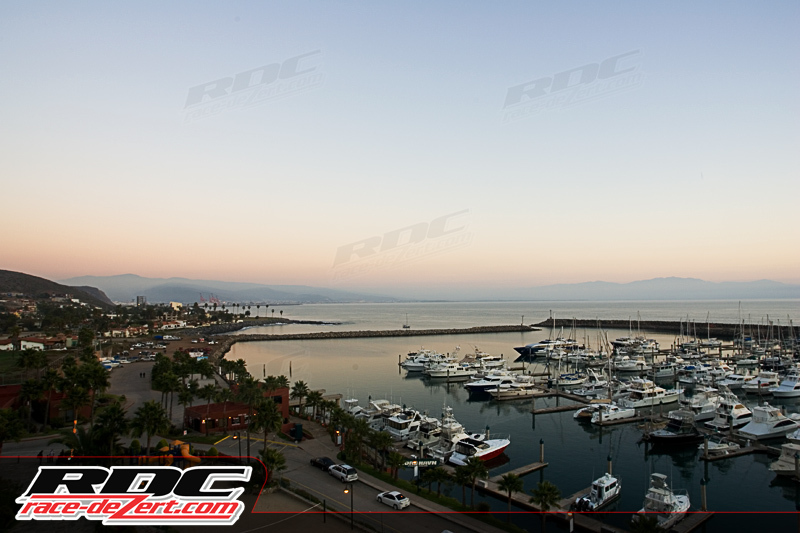 I got up on the PCI Race Radios trailer to get a higher vantage point so that you can get a good feel of the crowd. 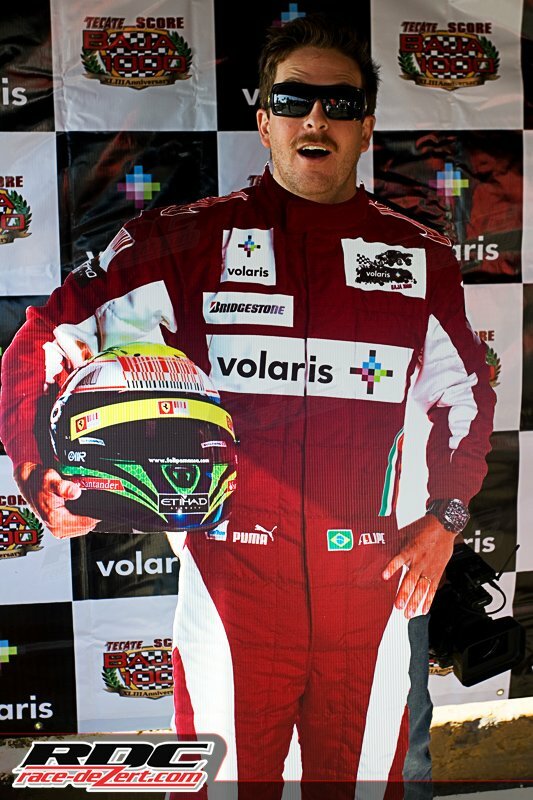 While walking through contingency admiring all the T-Shirts with my stolen photos on them, we came across a life size driver cuttout for people to take photos with. Scott wanted in on the action so he made his best Tom Selleck impression. Johnny gave it a try but he is a little height impaired, but luckily they had a pink and yellow plastic stool for kids to use. 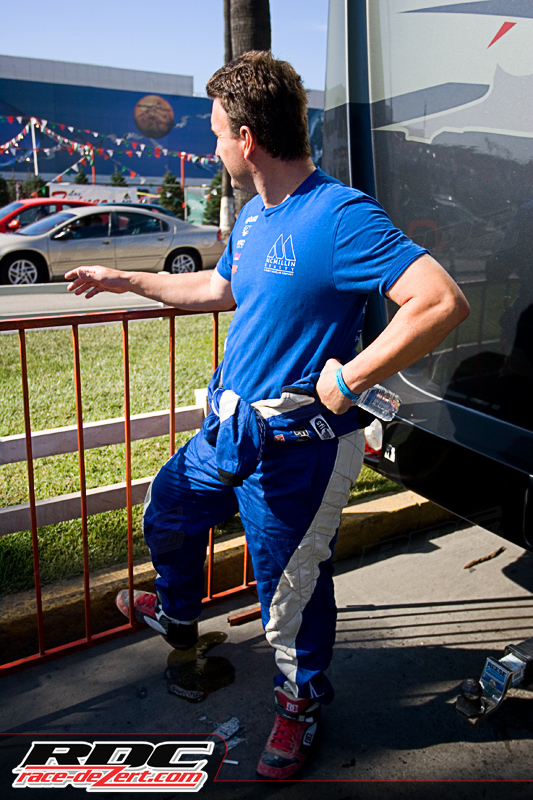 With all our clients through tech, and after strolling through a few times we decided to head back to the Hotel Coral so Scott could get all McMillin’s incar cameras inline, and relax before a long day ahead of us. Our game plan for race day was to follow the lead group and catch them three times before the sun went down over the mountains. It would be a tough thing to do in the first part of the race course because it basically paralleled the highway for the majority of the first 145 miles before they turned down and headed towards Diablo Dry Lake. After we caught them a 3rd time we were going to head down to San Felipe and meet up with our friends who were pitting for some friends. Race morning came around and the first thing we did before heading out was to get some footage of the McMillins getting ready before they headed over to staging, and then go to the start line to get some more shots before the start of the race. 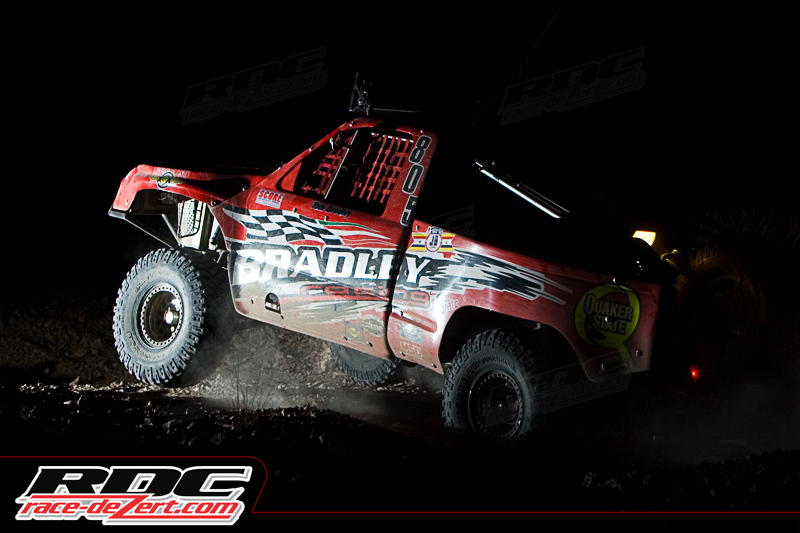 Legend Larry Ragland teamed up with Jesse Jones and was good to see him out in a trophy truck again. 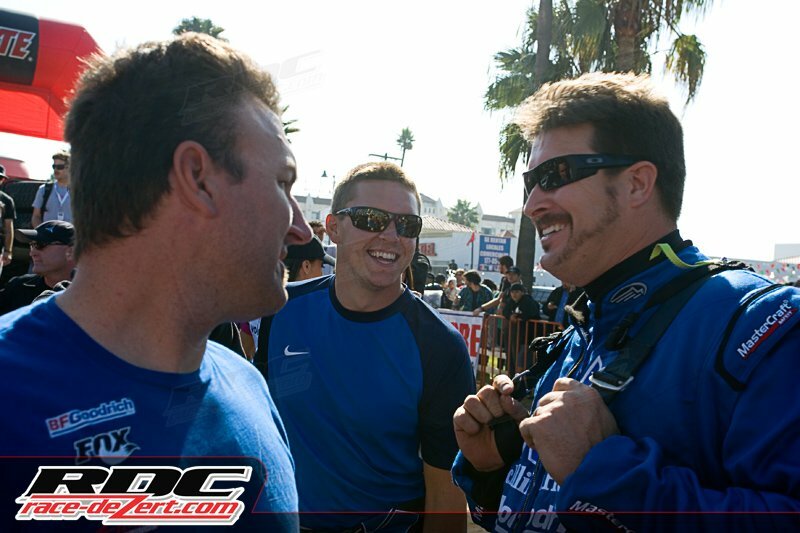 McMillins crew chief Greg Williams talks with Mark McMillin before heading over to staging. Over at staging near the start line we caught up with the McMillins to get a few more shots before we had to head out to the course. Our plan was to leave about 15 minutes before the start of the race so that we could beat the leaders to the road crossing at Ojos. Here is an overview shot of the staging area. A racer taking a breather before the start of the race, preparing for the long journey ahead. 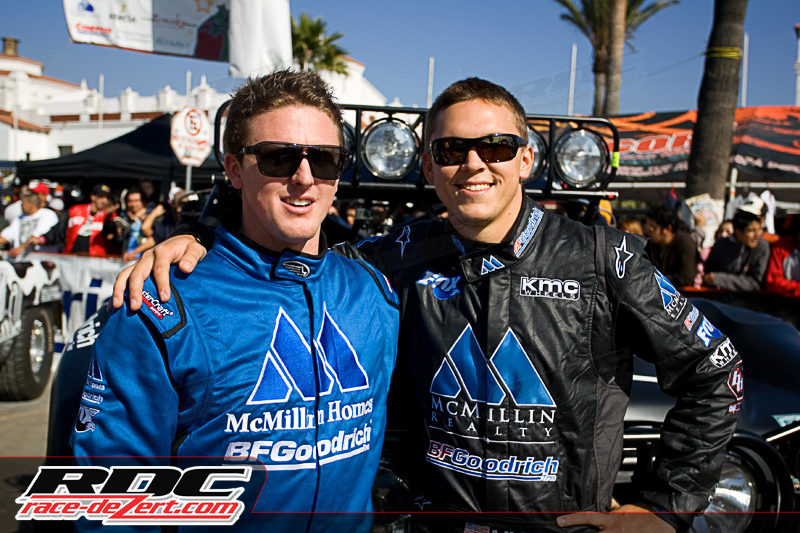 Team McMillin nice and relaxed about 20 minutes before the start of the race. Here is a shot of Andy and Dan. Dan the camera is over here. 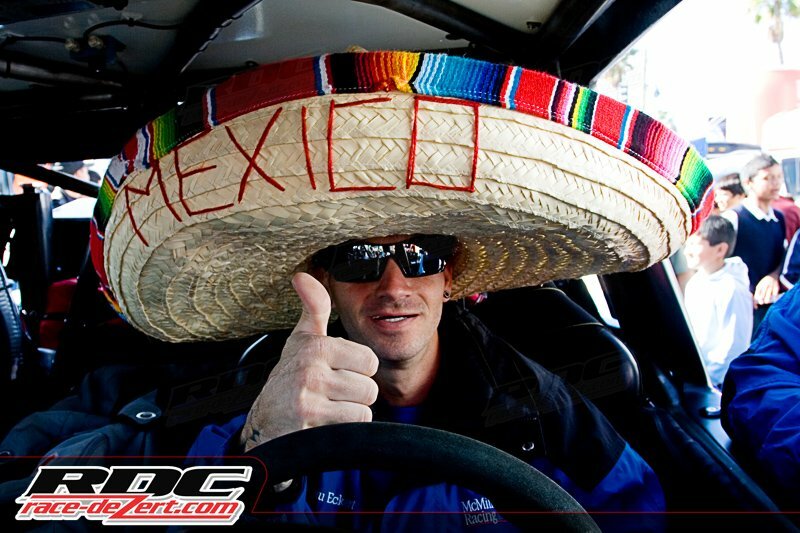 Andy is one of the more popular drivers down in Baja, a lot of the younger fans of the sport look up to him and he always takes the time to sign autographs and receive kisses on the cheek. 11:15am hit the clock so it was time for us to get on the road towards Ojos. We wanted to get to the road crossing before the leaders went by because once they do they stop traffic for a while to let racers go by. If we were to get caught there we would miss both Andy and Mark there since they started 4th and 9th respectively, and also run the risk of missing them at our next planned spot. Luckily we timed it right and didn’t hit any bad traffic and were able to catch the leaders pass by. We knew the photos we’d get here wouldn’t be anything spectacular, our goal was to catch them hear early because they’d still be clean, and it was at a spot where we’d be able to catch them again down the road. 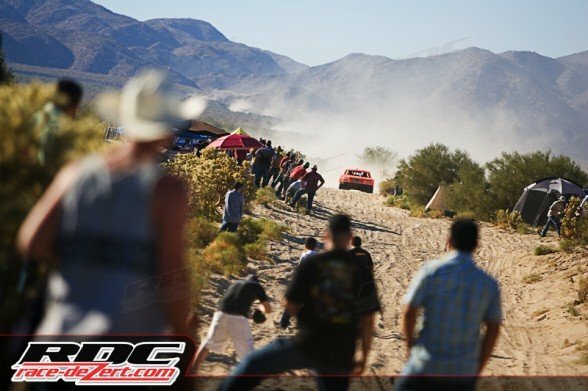 For this spot I just wanted to show the crowd at the road crossing to get the feel for a Baja race. 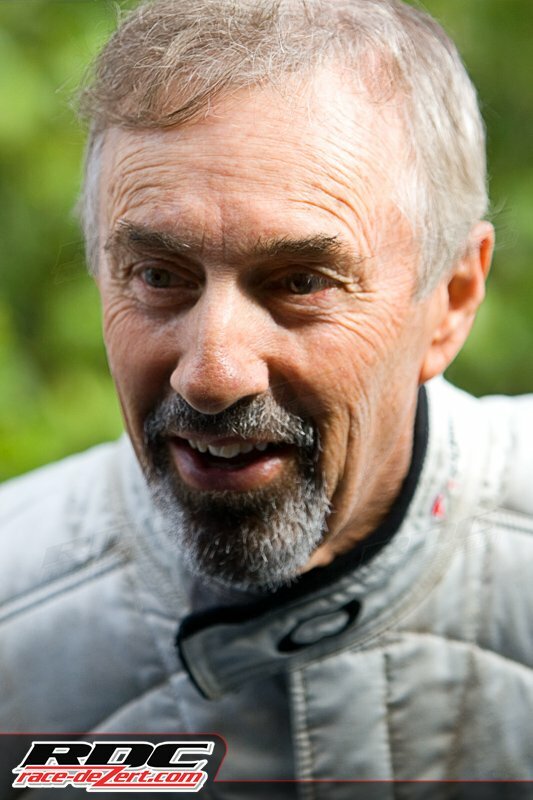 Roger Norman was first off the line and first car to go through Ojos. Andy McMillin gets on the gas after crossing the pavement at Ojos. 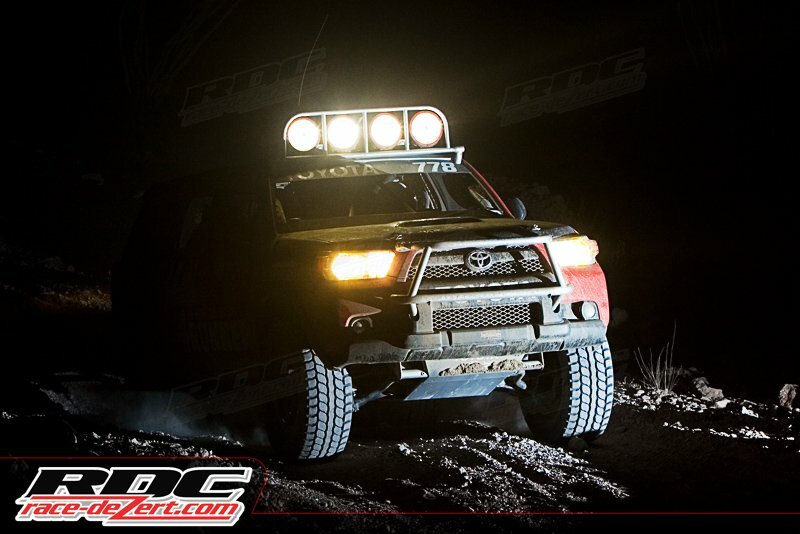 After the first 10 trucks went by, we hurried back to the truck and headed to our next planned spot which was where they get back on the dirt after getting on the first pavement section after KM77. 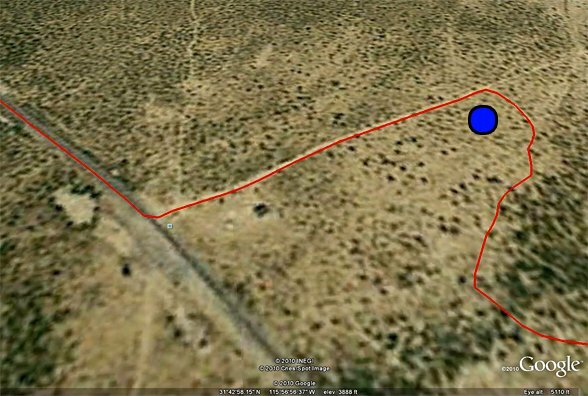 Here is a Google Earth shot of where we went. 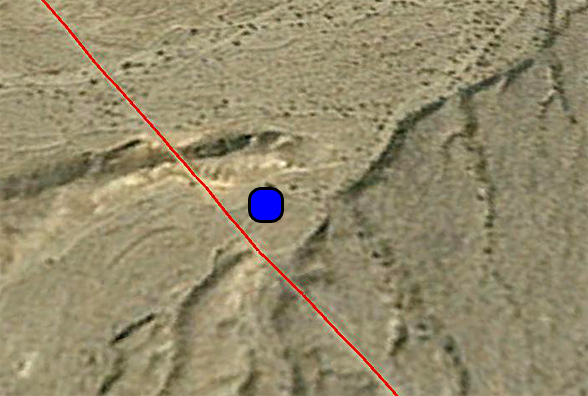 We didn’t know what the spot would be like so we just walked down the graded road until we hit the right hand turn marked by the blue dot. It turned out to be a pretty good spot as the turn was a little soft and already grooved out from prerunning. 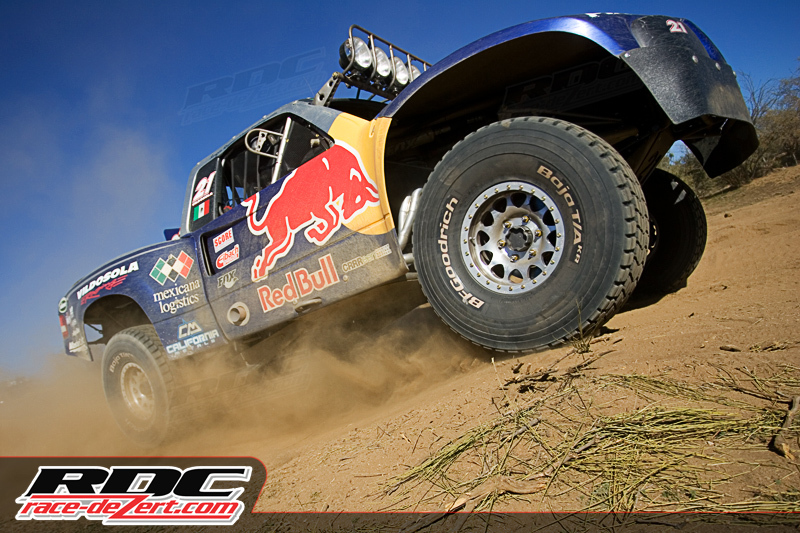 We could only stay there for the first 4 trucks so that we made sure we beat them down to near San Matias for our third spot on the course. 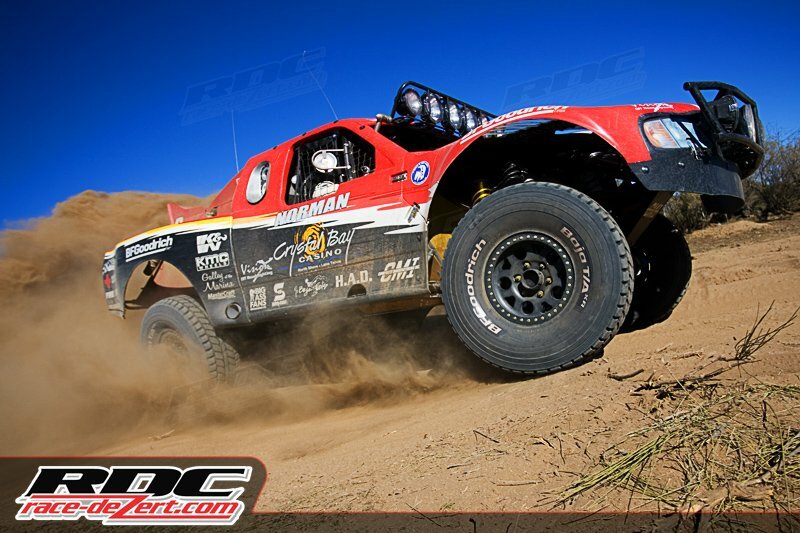 At this spot we were able to catch the leaders, and stay through the Class 10 cars. 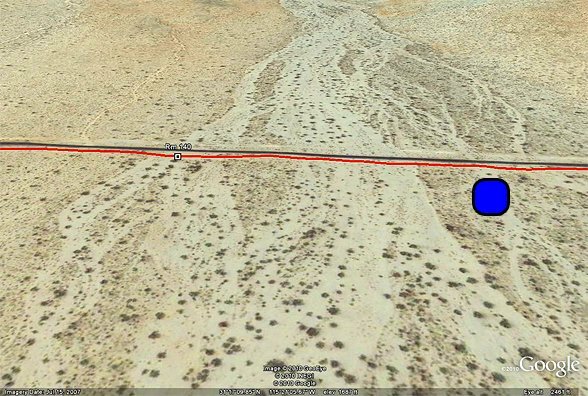 We originally planned to head towards Checkpoint 2, but the only way to get back to the highway would be to back track on the course, so instead we decided to shoot near the highway before they make the turn and head towards Diablo Dry Lake. You can see in the Google Earth shot that the course is literally next to the highway, and that there are a few washes that the course crosses making a few good bumps and whoops. The cars and trucks were coming at us head on at a pretty good pace, and with the highway on one side, and bushes on the other it would be hard to get a side shot, so I decided to shoot this area head on. 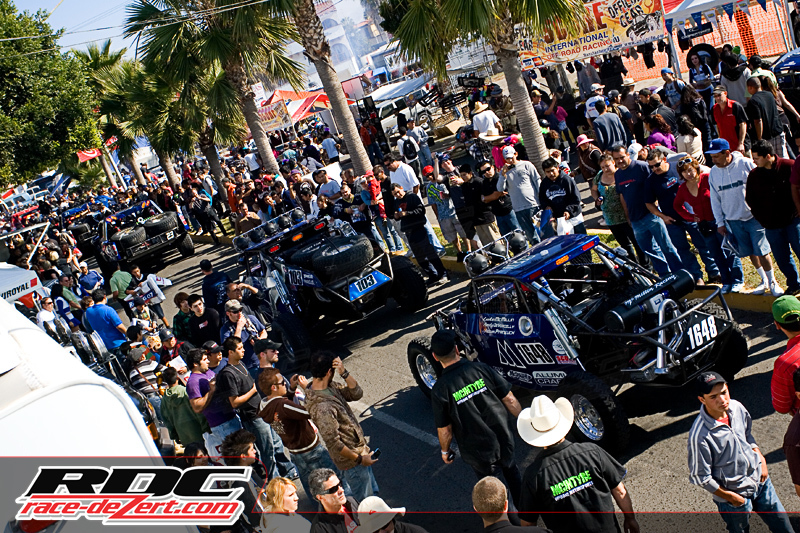 It was another shot that you could show the spectators in the shot to get a feel for Baja. 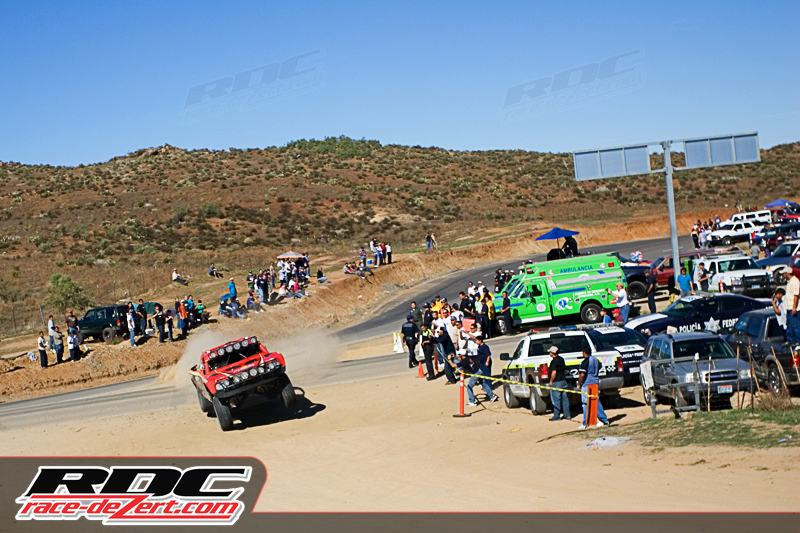 Specators look on as Robby Gordon makes his way down the course. Some spectators didn’t know it was him after he went by because of the new Specialized, Speed Energy paint scheme. Apparently they don’t read RDC. 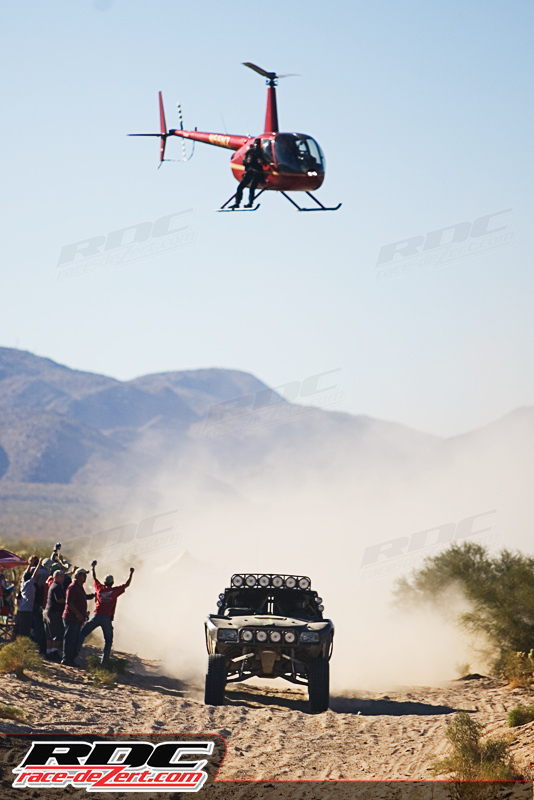 Troy Herbst flies down the course with Jimmy Cook of Sinister Films hot on their tale videoing the action. Mango Racing making a clean pass on the AGM Class 1 car. By this time the sun was getting lower in the sky, and the next spot would be in the dark. 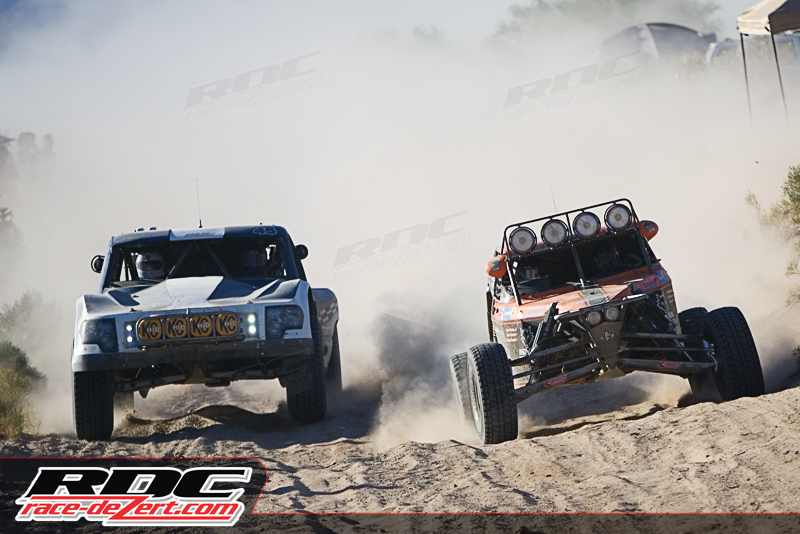 Once Dan McMillin went by us, and after the 10 and 12 cars started to pass by we hit the road another time to try and beat Luke McMillin to the Puertocitos area south of San Felipe where we would meet up with another group of friends. This was another spot where we didn’t really know what the area would be like, but since it was at night it wasn’t as important because the background would be irrelevant. We unfortunately missed Luke there, but I was working with two other photograph friends of mine to trade out photos so not all was lost. Both Brian from Bink Designs and Art from Art Eugenio Photography were able to catch him earlier in the race. For my setup I used Pocketwizards to fire a Canon 550ex flash. The flash was set to manual at 1/2 power, and my camera settings were ISO 400, Shutter Speed 1/160th, and Aperture 7.1. 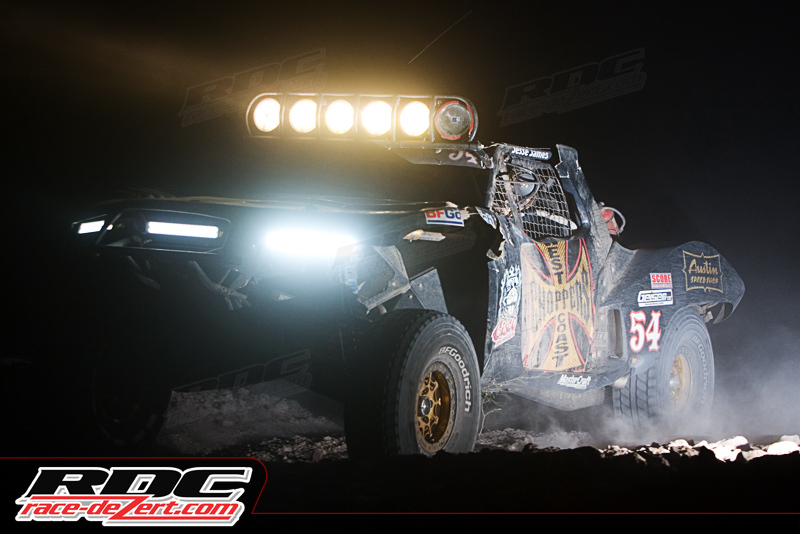 Because the flash isn’t as powerful as a full strobe, I had to set it right next to the side of the course, but I actually prefer the look it gives lighting up only the car. Here car #1608 has some mechanical problems, so the co-driver sits on the front passenger side to keep weight off the rear. The benefit of firing a flash remotely instead of having it on the hot shoe is that it gives you a more realistic shot, but more importantly it gives you the freedom to walk around. You can shoot it from the driver side. You could also shoot from the passenger side, giving you a little more dramatic look. And finally you could shoot from the driver side again, but this time from behind the vehicle. As time went on we decided to call it a night and head back to our friends house south of town. After a few fish tacos near Miramar, and trading a few stories from the day with friends we called it a night. Overall our game plan of catching the lead group three times worked out great, we didn’t have any problems, and made it home safe. 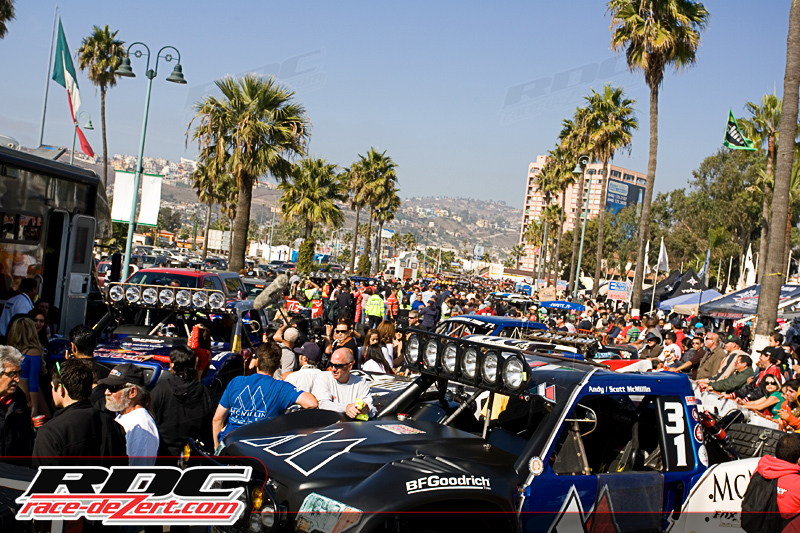 Congrats to not only everyone who finished the Baja 1000, but also those who braved to attempt it. 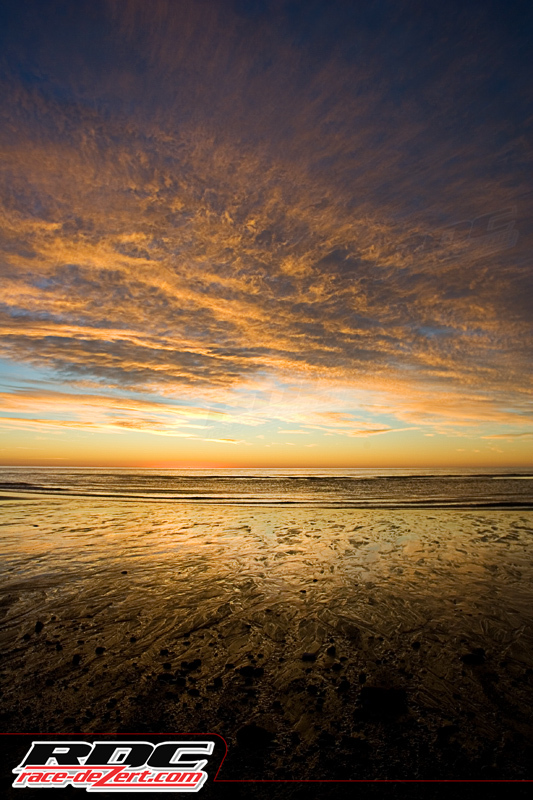 Before our drive home Friday morning we were rewarded with a beautiful sunrise on the beaches of San Felipe. 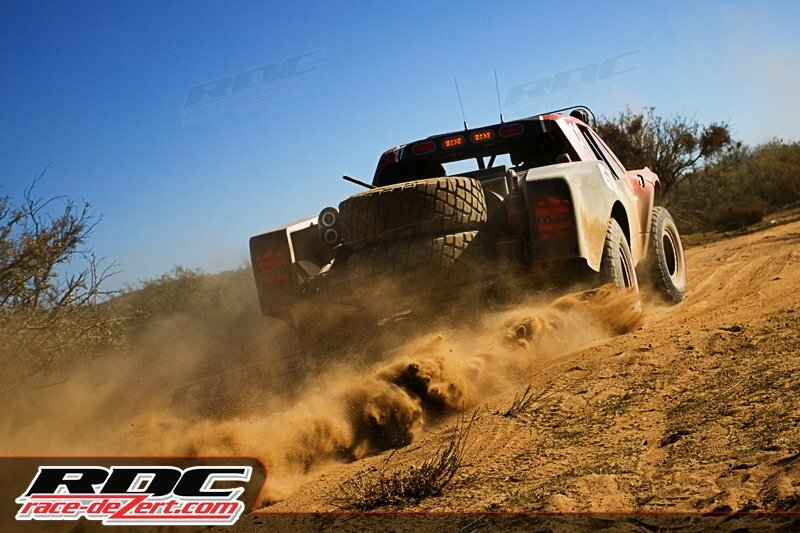 It was a great way to top off another great Baja experience.